Three more rabid bats turned up in the Santa Clarita Valley in late July, bringing to six the total number of rabies infections reported in the SCV during 2012. 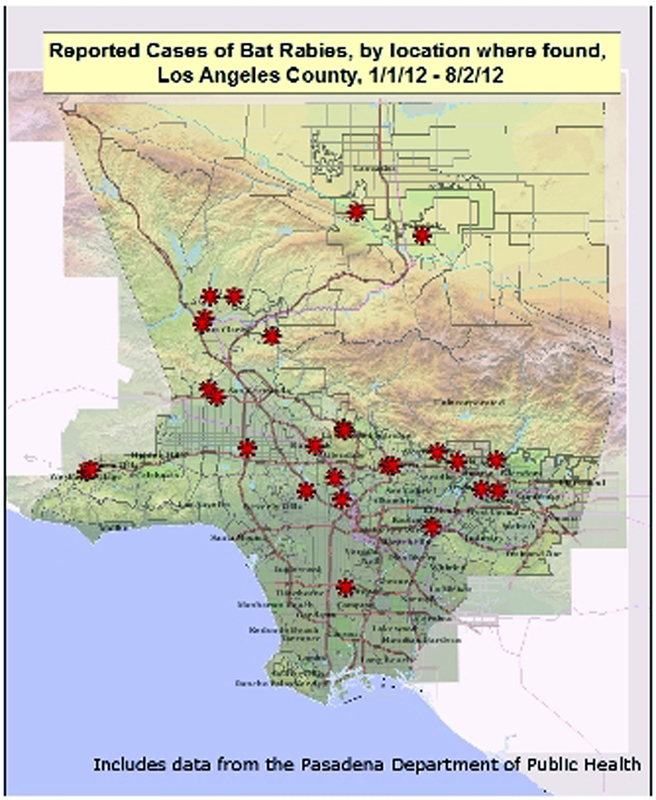 Los Angeles County is on track for another rabies record. 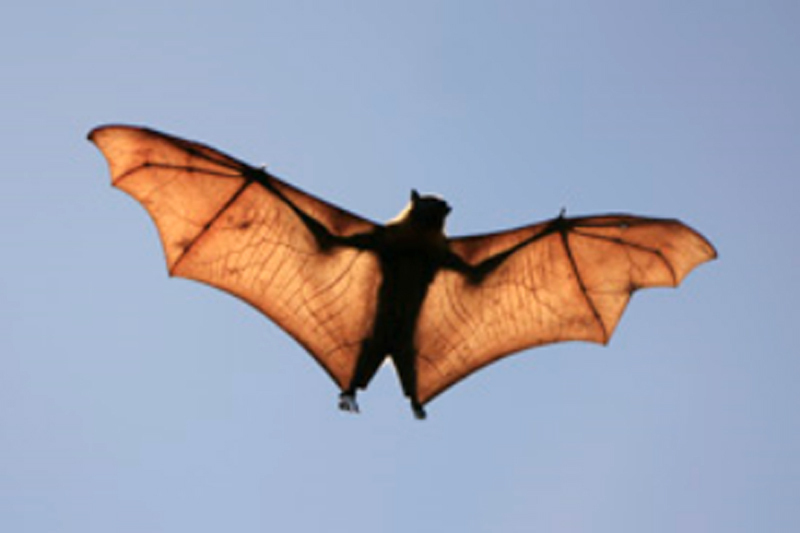 To date, 28 rabid bats have been detected countywide in 2012, more than double the record-setting pace set last year. Fifteen had turned up by this time in 2011. Typically just eight to 10 rabid bats are detected in Los Angeles County all year. Public health officials don’t know why rabies infections are on the rise. Bats are the most common carriers of the disease. Santa Clarita led the county in rabid bats last year, but this year they’re more evenly distributed throughout the county, said Dr. Emily Beeler of the Los Angeles County Department of Public Health. Santa Clarita was first in the county this year when one was detected Jan. 30 in Canyon Country. It was followed June 15 and July 5 with one each in Valencia. Then on July 27, two rabid bats were found clinging to the side of home in Saugus near some trash containers. On July 31, another rabid bad was found outdoors in Valencia. Beeler said it’s important to vaccinate pets because the home-quarantine period for a properly vaccinated dog that’s been exposed to rabies is just 30 days, versus six months for one that isn’t up to date on its shots. “Vaccinate your pets and don’t touch bats,” she said. Residents should be on the lookout for bats acting “weird,” she said. For instance, if you see a bat flying during the daytime, or flopping around on the ground, or flying near pets or children when no food source is present, call the Castaic Animal Shelter at 661-257-3191. But those actions don’t necessarily mean the bat is rabid. Bats that act weird turn out to be infected with rabies only about 10 to 15 percent of the time, Beeler said. The other 85 to 90 percent of the time, they’re suffering from some other ailment. Overall, less than 1 percent of the bat population has rabies, she said.